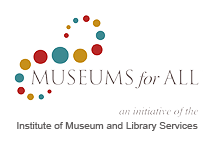 Membership has its benefits - free admission to the Museum, Special member pricing to Museum programs, workshops & classes (Excluding fundraisers) and more! If you would like sign up for recurring payments, click here. If you would like to provide an additional donation, please choose the amount below.